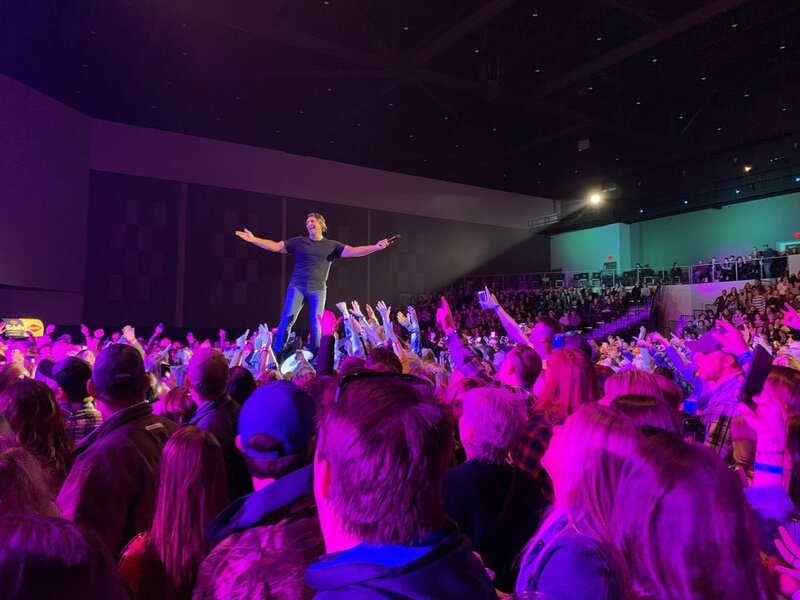 As the last remnants of April’s snow showers fell, a sold out crowd excited to hear Billy Currington shuffled into Mankato’s Verizon Center to catch some beach vibes from the Grammy-nominated artist. To start the evening right, artist and songwriter to watch Steven Lee Olsen opened playing his new single “Timing is Everything” and covering Kip Moore’s “More Girls Like You” and Keith Urban’s “Blue Ain’t Your Color,” mega hits he co-wrote. In between sets, the stage was transformed into a scene worthy of any beachside dance venue, complete with flickering candle and stylish rugs. Currington came out strong, opening with “Don’t It,” “That’s How Country Boys Roll” and “Pretty Good at Drinkin’ Beer,” and the crowd showed him that they, too, are pretty good at that skill. By this point, Currington’s exuberance was contagious. Fans were singing and dancing along without a care to “Love Done Gone,” “Let Me Down Easy,” “Like My Dog” and “I Got a Feelin’”, one of the first songs he wrote. Then it was number one after number one with “It Don’t Hurt Like It Used To,” “Do I Make You Wanna,” “People Are Crazy,” “Must Be Doin’ Somethin’ Right,” “Hey Girl” and “We Are Tonight.” There was a slight pause to take in how amazing each of these songs are performed live and to sink in how special the night was. Next, it was straight into the encore. Currington heated the frosty night up with sultry new love song “Naturally” and favorites “Don’t Rock the Jukebox,” “Shut Up and Dance” and “Good Directions.” After which, the ladies in the crowd were all wanting to take a right to go right back there to him. Currington hit the stage full of energy and never once did that enthusiasm waiver. The entire evening was filled with smiles, high fives and memorable moments. 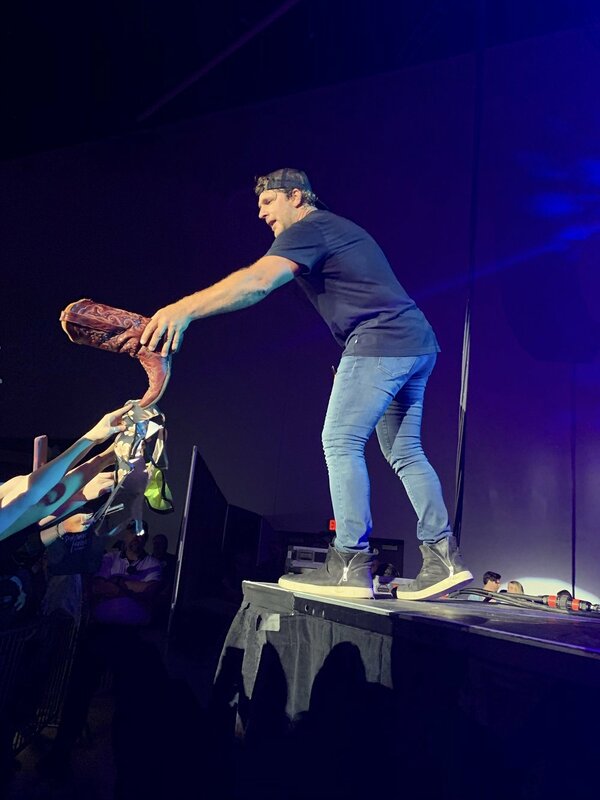 Currington stayed long after his set was over to autograph countless well-worn hats, shirts, boots and even the occasional bra while the band played “We Are Tonight” on loop. The Mankato show officially kicked off the Stay Up ‘Til the Sun Tour. Currington has 18 country charted singles, including 11 number ones. If you missed the show, you can hear him play WE Fest August 1.